Sometimes being an intensely secretive regime trading in relentless obscurity has its perks: The US tried to secretly attack North Korea’s nuclear program with a computer virus, but failed because it couldn’t find the information necessary to infect the North Korean system with a virus. When the US launched a cyber-attack on Iran in 2009, it detroyed uranium centrifuges by infecting the Iranian nuclear program with a sophisticated computer virus called Stuxnet. If things had gone according to plan, Iran wouldn’t have been the only country in Bush’s Axis of Evil with janked-up centrifuges, according to a report from Reuters. The idea that the US may have tried to attack North Korea’s uranium with a virus like Stuxnet has been floated before; Gizmodo syndicated a story by Kim Zetter and Spencer Ackerman discussing the possibility of an attack exactly like this almost five years ago. Zetter and Ackerman pointed out that similarities between Iran and North Korea’s uranium enrichment systems meant that a modified version of Stuxnet could possibly give Pyongyang a big problem. But according to Reuters’ sources in the intelligence community, that attack was never carried out successfully. In years since, the US and North Korea haven’t exactly been at online peace. 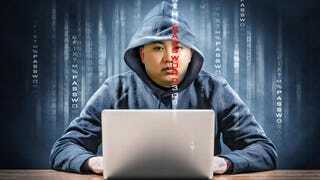 The FBI blamed the North Korean government for the hack of Sony Pictures, and after President Obama promised a proportionate response, North Korea’s internet experienced a widespread outage. That was never confirmed as a US attack, but come on—as the Reuters’ report suggests, these are two countries looking for each others’ digital weak spots.